• What are your earliest memories about death, dying, and funerals? • What is your most recent experience with death, dying and funerals? • What would make a death “easy” or “hard”? • Which death of a loved one or friend has been hardest for you and why? • What has been the most helpful and least helpful things you’ve heard people say about death and dying? There was a literal darkness for 3 hours before Jesus death. As a person approaches death today, how might they experience “darkness”? What are the pros and cons of this darkness before death? Why did Jesus say what he did? Jesus’ words are a quote from Psalm 22:1. Read psalm 22. Talk about how it is a prophesy of what Jesus went through. Is it a Psalm of defeat or a Psalm of hope? What end of life situations cause people to feel abandoned by God? When people feel abandoned by God what do they need from us? What was the confusion around Jesus’ words? What were they waiting for? What kind of confusion occurs when a person’s death nears, both for themselves or for their family? How can Scripture help steer us through our confusion? What is the significance of the Temple curtain being torn in two, from top to bottom? Read Luke 23:46, which records Jesus’ last cry. How would you characterize Jesus’ last words? 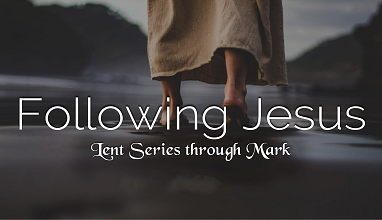 How do they compare to Jesus’ cry of abandonment in Mark. 15:34? What do we do at funerals that signal or talk about trusting God? Have you thought about what you would want your funeral to be about?